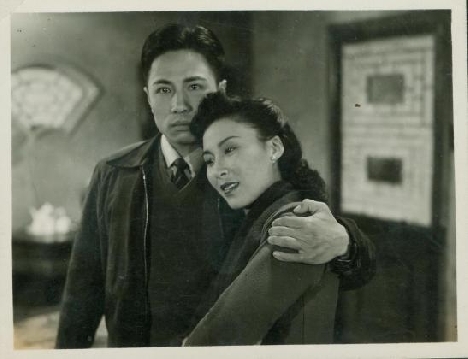 Named a formative influence by filmmakers like Wong Kar-wai and Zhang Yimou, voted the best Chinese film of all time in a poll of Chinese critics, and with a visual panache often compared to Ophuls, Antonioni, and Welles, Fei Mus 1948 gem possesses a melancholy beauty all its own. In the ruins of a bombed-out country estate, a sorrowful husband lives in the past, while his beautiful wife pines for something, anything, to change. I dont have the courage to die, she whispers in the films mesmeric, noirish voice-over, and he doesnt have the courage to live. As in many a noir, the arrival of an outsiderone known to both husband and wifemay change everything. Made a year before Maos Peoples Republic of China was proclaimed, the films beauty exists both in timemany elements seem drawn from Hollywood noir and the glory years of Shanghai cinema, while its languorous tracking shots rival the best of Ophulsand utterly out of time, with a romantic splendor and a remarkable sense of melancholy capable of surprising even the most jaded contemporary filmgoer. The fact that the film was quickly hidden away after its debut, condemned as counterrevolutionary and embodying petit-bourgeois decadence, merely adds to the films mystique; it was finally rediscovered in the 1980s.